Around the 1st of May each year, the gang starts staging for the tour season. First Dave gets the dogs down to Linwood Fielder’s place then they pack the dogs into two large trailers holding 80 dogs each. That’s 160 dogs. They then drive the two trailers down to Haines Alaska where they board a Ferry to Juneau. At Juneau they take the trailers up to the base camp north of Juneau on the Norse Glacier Ice fields. They then take out the seats of four helicopters and put dog boxes in them capable of carrying 10 dogs. 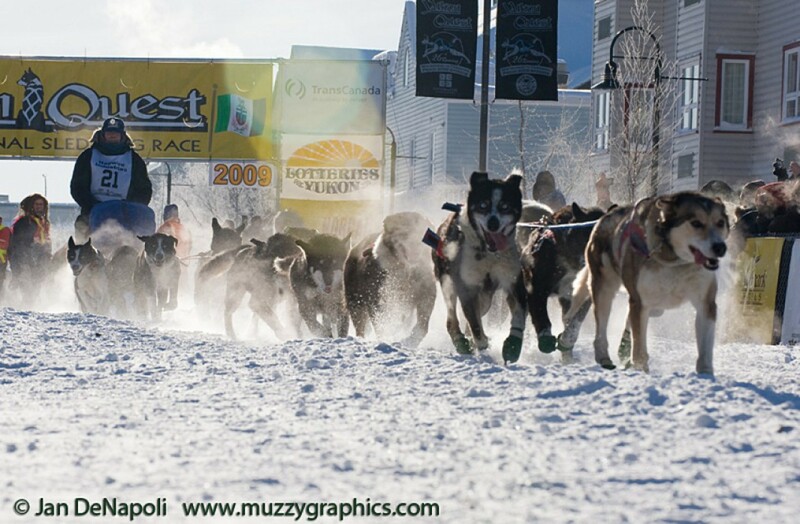 They load up the dogs and fly them out to the mushing camp. You can do the math 160 dogs four copters with 10 dogs = 4 trips per chopper. All the food, equipment and personnel are flown in by helicopter. You enviornmentalists will be glad to know they pack out the dog dirt and trash the same way. The only thing left are some footprints, paw-prints and imprints of sled runners when they are finished at the end of the summer. The staff consists of 21 people, Fielder family who own the business primarily manage the camp. 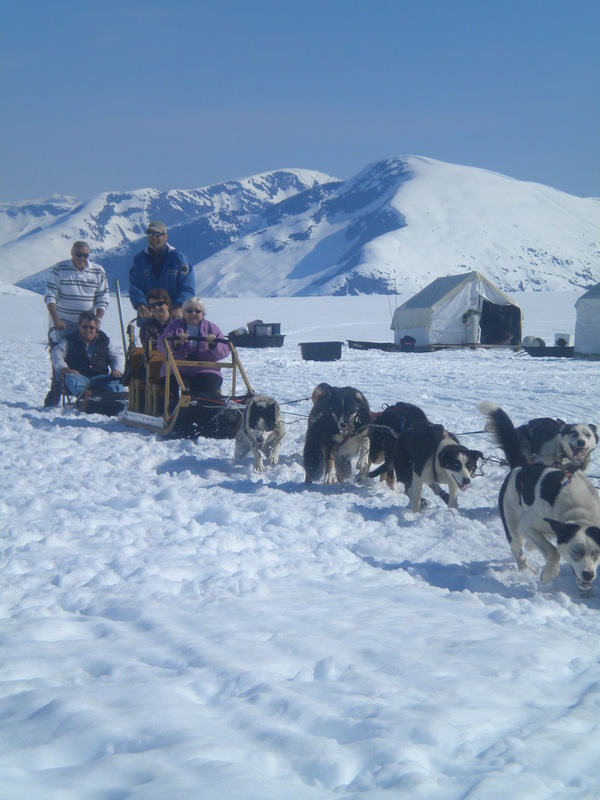 The rest of crew consist of 2 cooks , 14 mushing guides, and support staff . Literally thousands of tourists will be flown in to the glacier to get the experience of running dogs the old fashioned way. If you get the chance it can be a wonderful experience.